Fashion is a big part of the NBA. Many players have made fashion a competition to see who can be the most stylish one for pre/post game attire. 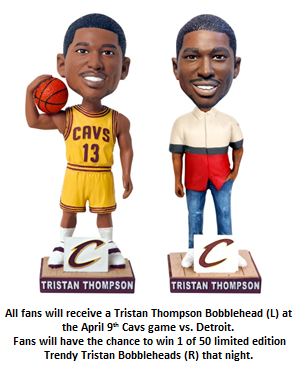 Last week the Cleveland Cavaliers took things to the next level on their bobblehead night. 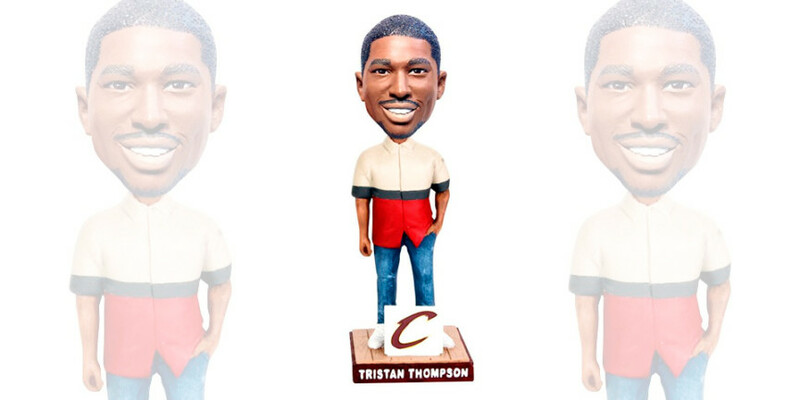 While fans were able to pick up a bobblehead of power forward Tristan Thompson in the gold Cavs uniform, there was also a new, more fashionable bobblehead dubbed “Trendy Tristan”. The 1/50 bobblehead was given away to fans in a text to win promotion. Designed with help from Thompson’s stylist, Marcus Paul, the bobblehead features a runway shirt from Lanvin, white Balenciaga shoes and jeans from 3×1, a denim company out of New York that specializes in bespoke denim. 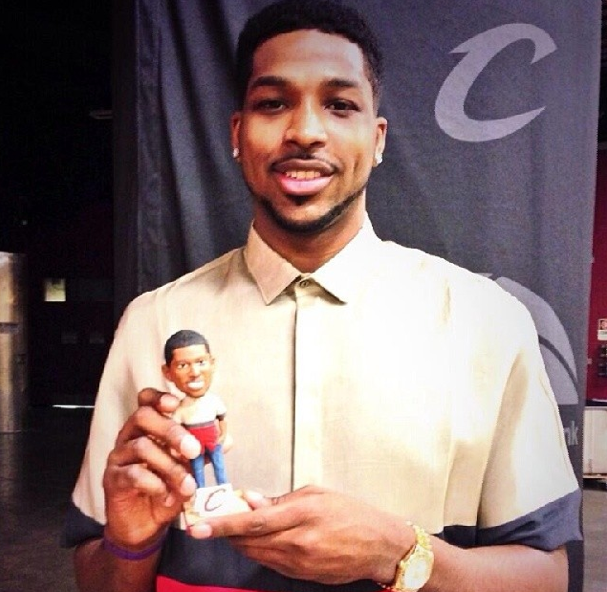 Tristan even appeared wearing the same outfit as his bobblehead, in weird, Mini Me fashion.